Once again, as with all multiple-101 MouseStation shows, things go off the rails. 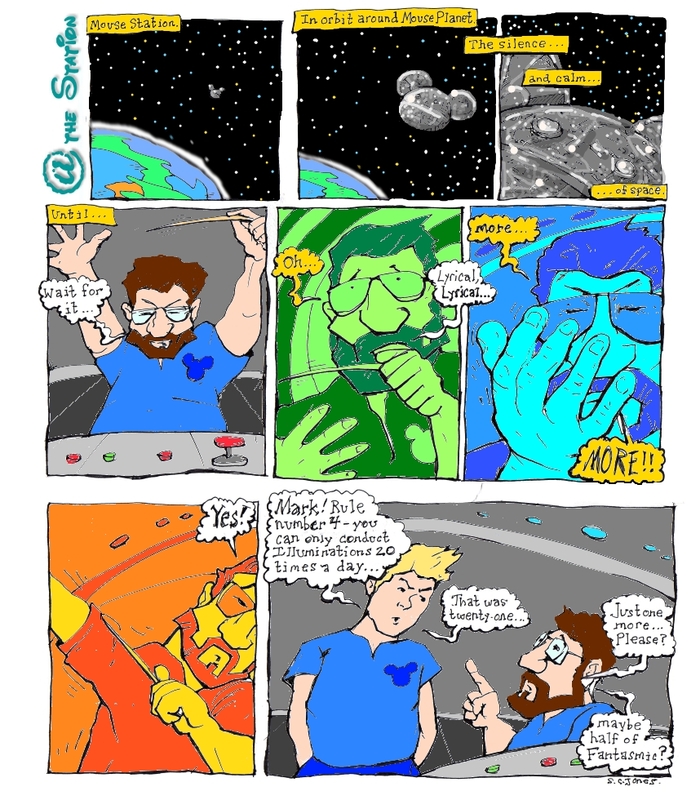 Also, a new "@ the Station" comic, a Magical Moment, and this week's Twitter/Facebook poll. With 404 not just being a multiple of 101, which always signifies a blooper reel and other strangeness, but also the HTTP error for file not found, Mark & Mike knew that they had to do something exceedingly strange. They were inspired by Dan Povenmire and Jeff "Swampy" Marsh's great Disney Channel animated series Phineas and Ferb and created a sort of parody of the series, translating it to the MouseStation universe. With the assistance of Sharlabella (listener Sharla Manglass), Mike and Mark built and operated a time machine to see what Walt Disney would have done if a show was missing. Meanwhile, Steven the Audio Engineer (Steven Ng) is directed by Major Monocle (Andrew Rich) to stop Dr. Dumbkopf (Mark), who has hatched another evil plot. After an abortive visit to the set of the EPCOT Film and some drama with Steven over at Dumbkopf's surplus space shuttle, Mark and Mike decide to just record another show, which would keep them up late. Kid-dace (The Kid) rats them out to his mom, and has Steven run the blooper reel to show them the consequences of them recording late at night. 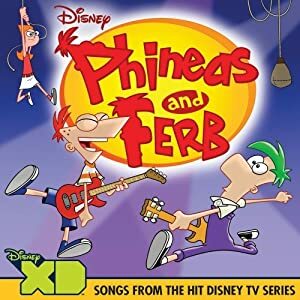 You can get a copy of the Phineas and Ferb soundtrack, which includes an extended version of the show's theme song ("Today is Gonna Be a Great Day") by Bowling for Soup, which we mercilessly massacred on the show, as well as the "Perry the Platypus Theme" (which we ripped off for "Steven's Theme." You can also go to Amazon's Phineas and Ferb store for all sorts of P&F stuff. In case you're wondering where Mark's "Ramblin' Guy" reference during the blooper reel is from, check out the first track on Steve Martin's Let's Get Small album. This week, we've got another great comic strop from Sean Jones. We were tempted to dramatize this script, but frankly we were drained after doing the Phineas & Ferb parody. Will Mark do this during his trip this week? 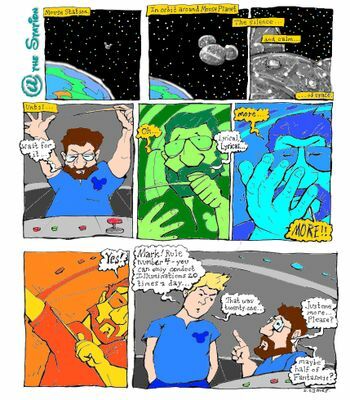 Comic strip by S.C. Jones. You can enjoy the entire series here. This week's Magical Moment came via email from Pete Altemese, who wrote about a trip to Walt Disney World in November 2002, when he and his family were walking through a deserted Frontierland at the end of the evening, when it felt like they were the only ones in the park. The story of the tram driver reminded Mark of a tram driver that he and his wife had at Hershey Park back in 1984. MousePlanet Meet at the Magic Kingdom, May 15! Will you be at Walt Disney World this coming weekend? Come to the MousePlanet meet at the Magic Kingdom on Saturday, May 15 at 2:00 p.m. at the gazebo just past Aloha Isle in Adventureland. Meet Mark Goldhaber and visit with other MousePlanet readers and MouseStation listeners. We’ll have some MousePlanet buttons to hand out, and maybe some hats and classic mini-MouseAdventure packets. If you’re attending the D23 Flowers & Fireworks event, you’ve got until 5:00 p.m. to check in at the lobby of the Grand Floridian Resort & Spa, so there’s plenty of time to attend the meet and still check in on time. Here's where the meet will take place. Stop on by! Photo by Mark Goldhaber. 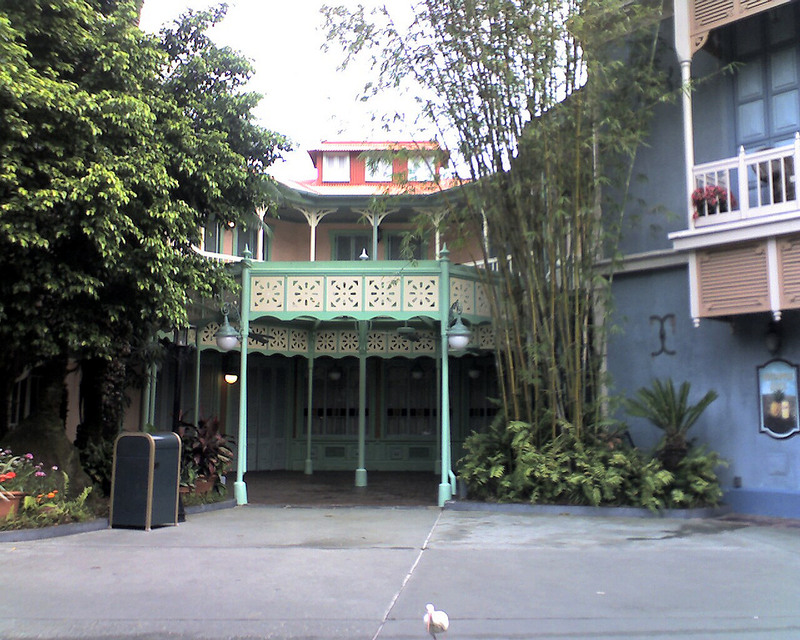 If you could make one attraction at Disney's Hollywood Studios disappear forever, which would it be? Does the big hat count? American Idol. Can't stand it. Sad to say, the attraction I'd replace is the Animation Building. I have no use for it anymore now that it has become a glorified character meet and greet spot. It is too large a space for what they have there. To answer this week's poll I would volunteer Sounds Dangerous for extinction but I think Disney has already taken care if that. Mark originally answered Sounds Dangerous, but then remembered his original thought and switched his answer to Voyage of the Little Mermaid. Mike wants to get rid of Beauty & the Beast - Live on Stage. Which Disney or Pixar movie that doesn't have an attraction themed to it do you think deserves one?